There are various visas which allow a Child to join their Parent in Australia. The Parent that acts as the Sponsor must be an Australian Citizen or Permanent Resident. If you are granted a Provisional Visa, and then have a child, that child will require their own visa. A child born offshore to an Australian Permanent Resident will require their own visa. 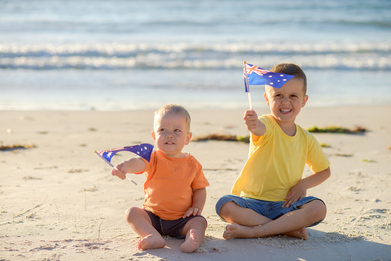 A child born onshore to an Australia Permanent Resident will be born an Australian Citizen. A child (regardless of their age or where they were born) should be eligible for Australian Citizenship by Descent if one of their Parents was an Australian Citizen at the time of their birth. Adopted children outside of Australia must apply for Subclass 102. If you are caring for a relative’s child, due to both parents of that child being deceased, permanently incapacitated or of unknown whereabouts, they would need to apply for the Orphan Relative Subclass 117.